We have seen the rise and fall of many technologies, some disappearing without a trace while others redefining the world. Collectively they have shaped our world beyond recognition. In this talk, Srinath will start with past technologies exploring their behavior. Then he will explore current middleware landscape, its composition, and relationships between different segments. He will discuss significant developments and discuss their future. Further, he will discuss emerging technologies, forces that shape them, and the promise of each technology, and finally, speculate about their evolution. You will walk away with knowledge on the evolution of middleware, the status quo, and discussion about how, at WSO2, we think those technologies will evolve. 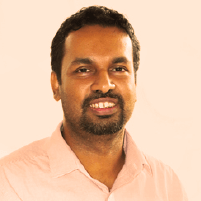 Srinath is a scientist, software architect, and a programmer that works on distributed systems. He is a member of the Apache Software Foundation. He is a key-architect behind several widely used projects such as Apache Axis2, WSO2 Stream Processor. Srinath has authored two books about MapReduce and frequent author of technical articles. He received his Ph.D. from Indiana University, USA, in 2009. As VP of Research at WSO2, he heads the research team and also responsible for studying current markets, current technologies, and future trends for WSO2.